Our natural soaps are perfect for the most sensitive skin from a newborn baby to great grandma. 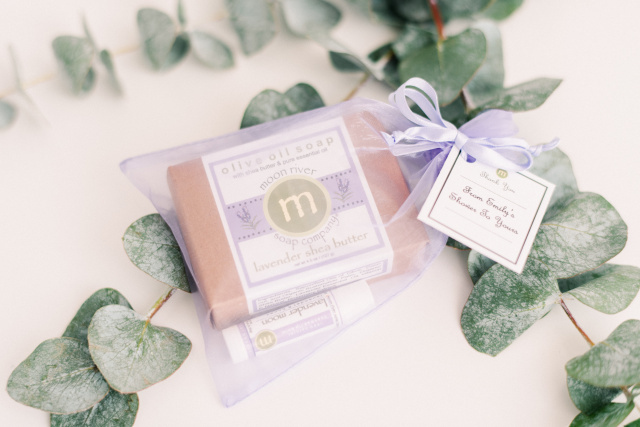 Our Lavender Shea Butter or Michigan Honey Oatmeal are the most popular choices, you may choose your favorite Moon River Soap. Each full size bar is 4.5 oz., each half moon bar is 2.25 oz. What defines Moon River Soap is the simple element of natural botanical oils and pure essential oils, we never add fragrance as you will find in almost every other soap on the market today. Remember to thank your guest with a thoughtful favor made without synthetic fragrance, and made right here in Michigan. 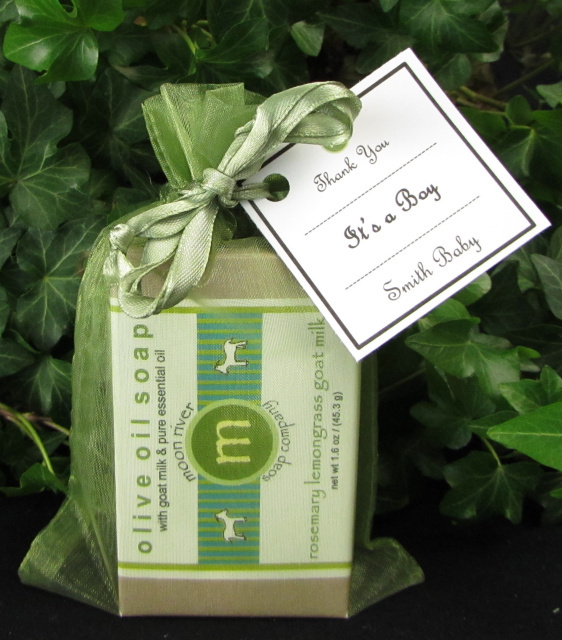 After every gift has been opened a natural soap favor can be the one the nicest ways to show your sincere thanks and appreciation. 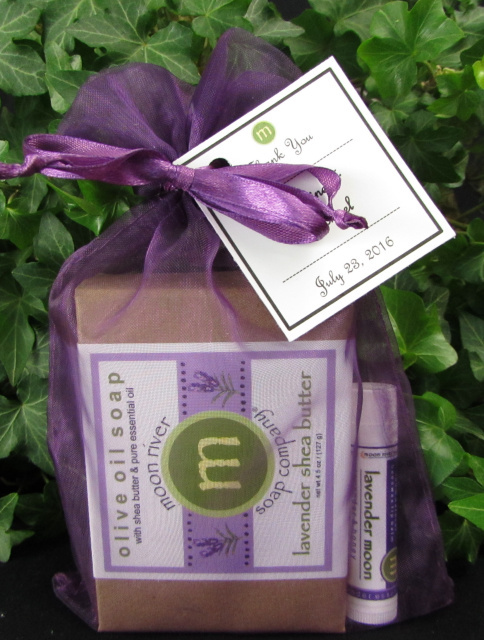 Eco friendly and natural, celebrate your next event with Moon River soap favors. Healthy for your skin and safe for the earth. Orders may be placed online, in store, or by phone. You may mix and match soaps as long as you have a total quantity of at least 30 combined soaps. For example, you may choose 20 lavender soaps with lavender bag (add to cart). Then you can choose 20 Michigan Honey Oatmeal Soaps (add to cart) . Organza bags are available in moss green, ivory, lavender, deep purple, pewter, light blue and yellow. Please allow 1-2 weeks for custom orders. Moon River Phone 248-930-9467. Online orders have our top soaps listed, if you would like a soap that is not listed as an option, please call to place order. Additional charge will be added for specialty soaps.